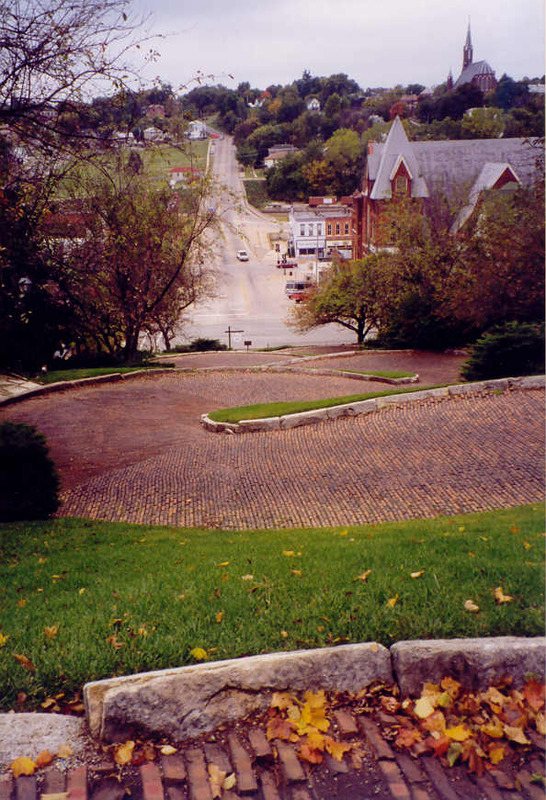 On Saturday, October 2, 1999, Scott and I took a trip from Platteville, WI to Hannibal, MO. 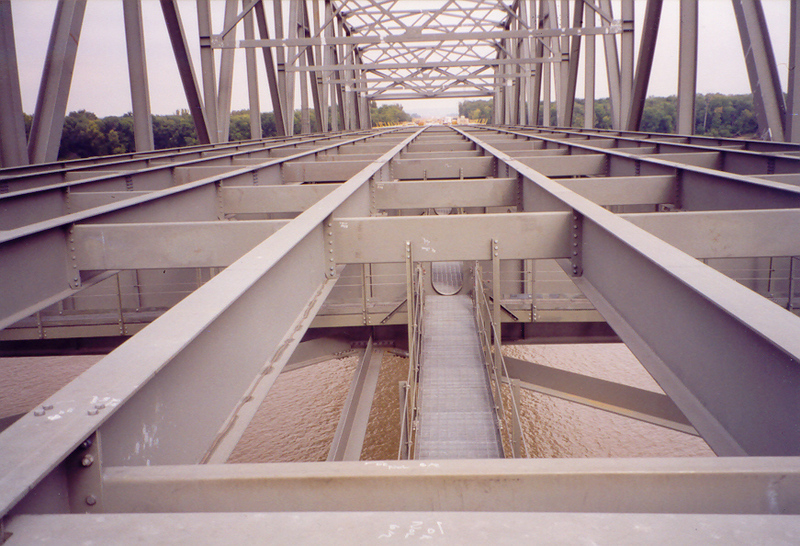 Our purpose was to check out the new I-72 Mississippi River bridge in Hannibal that was under construction. 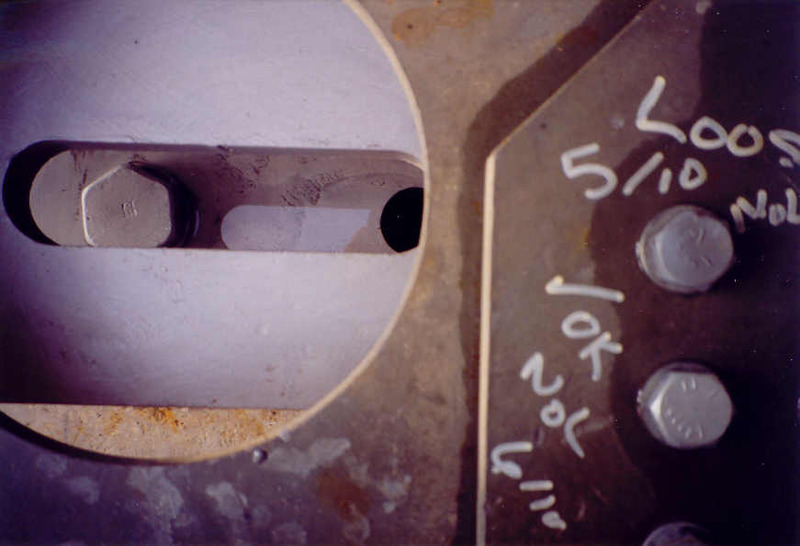 We had seen it briefly on our way through in late August 1999, and decided to come back for a more in-depth look. On the way there we drove through the Quad Cities, and then took US 61 all the way to Hannibal. It was a very interesting drive, with US 61 upgraded to expressway or freeway in various spots. On our way back from Hannibal, we took I-72 to Jacksonville, IL to check out the freeway portion of US 67. We then returned to Platteville through Springfield, Peoria, and the Quad Cities. Our first major stop of the day was in Burlington, IA. 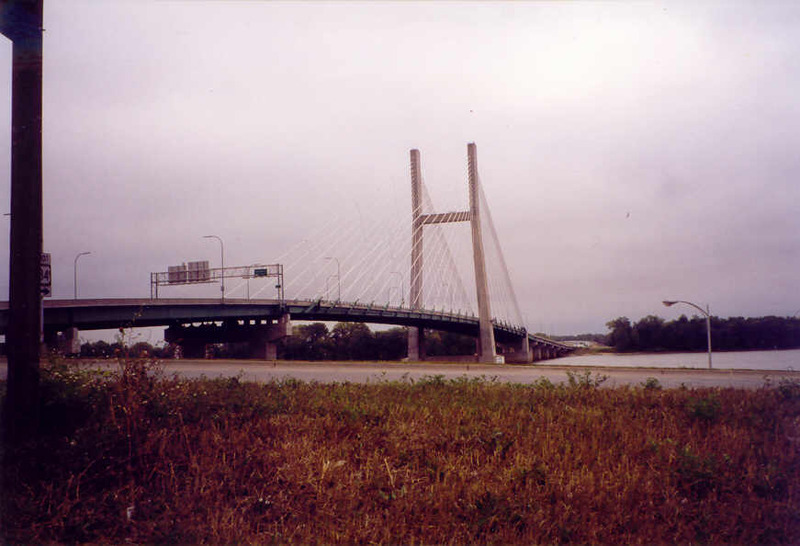 We stopped downtown and checked out the US 34 cable-stayed bridge over the Mississippi River. In Illinois US 34 goes to 2 lanes just east of the bridge. 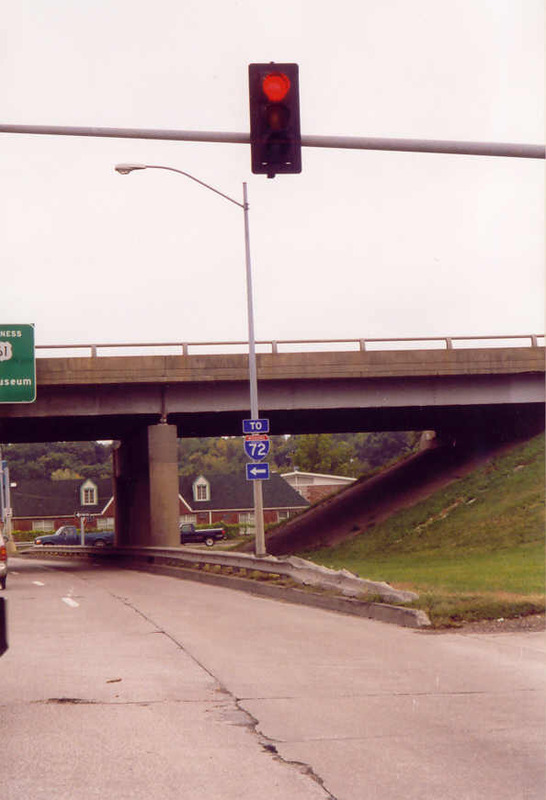 In Iowa, US 34 is a freeway for 4 or 5 miles going out of the city. We drove on the whole freeway and also drove around downtown a little bit and found a really steep, curvy street, Snake Alley. 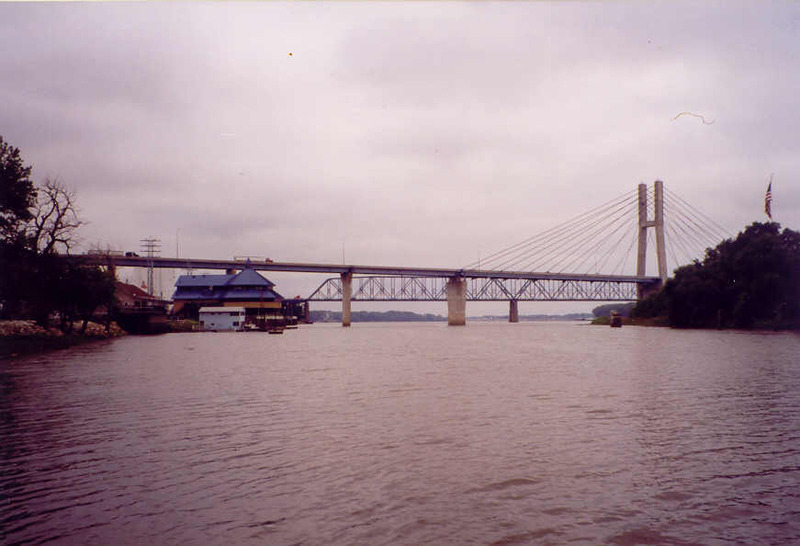 We drove to Fort Madison, and drove over the toll bridge there, which is IA 2 / IL 9. It is very old. 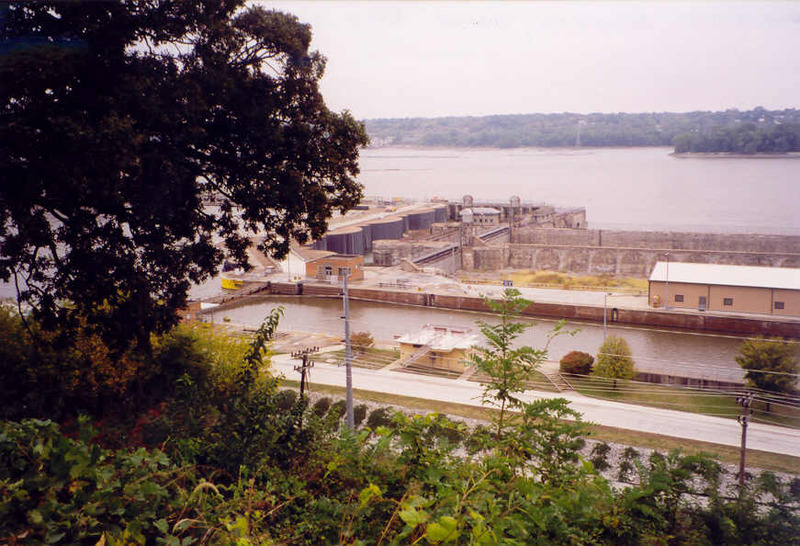 Then we drove to Keokuk, IA. 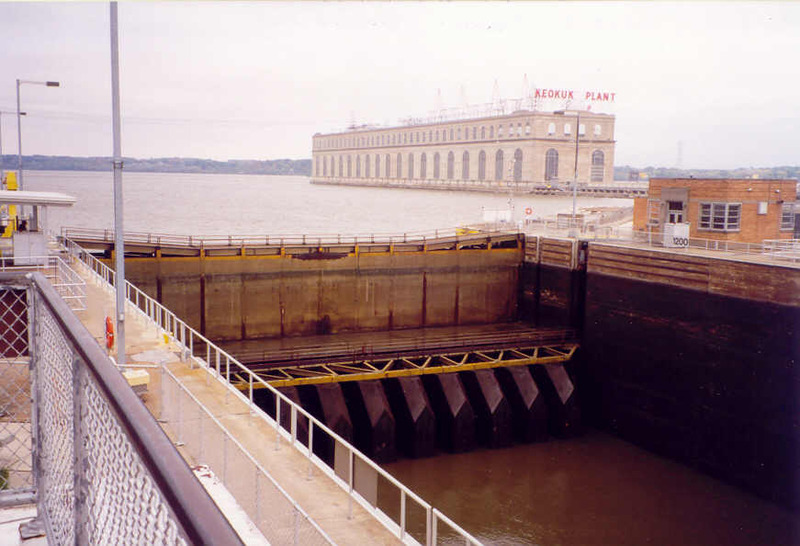 We looked at the lock and dam, which is the largest of all the locks. There is also a large hydroelectric plant there. We then drove down US 61 and took US 24 to Quincy, IL. 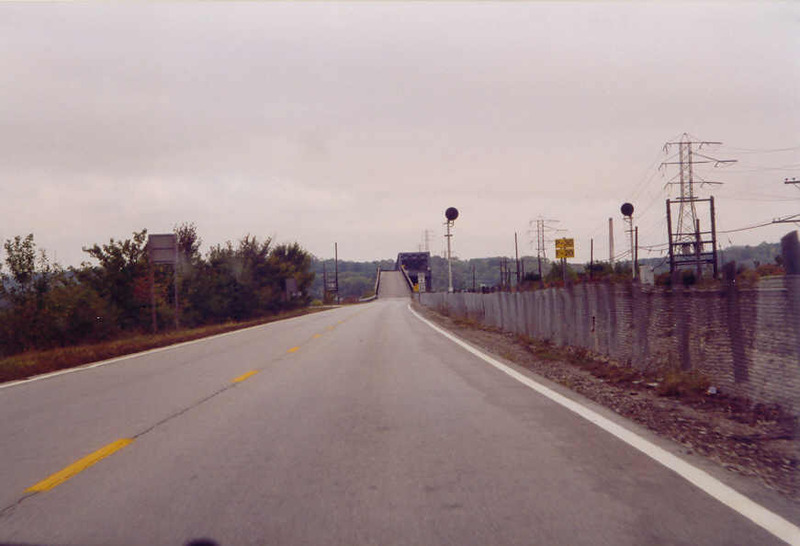 There is another cable stayed bridge on US 24, which is very nice. Our main destination was the next stop. We parked the car off the side of the road by the new Missouri interchange. We then hiked to the new bridge, which was almost a mile away. 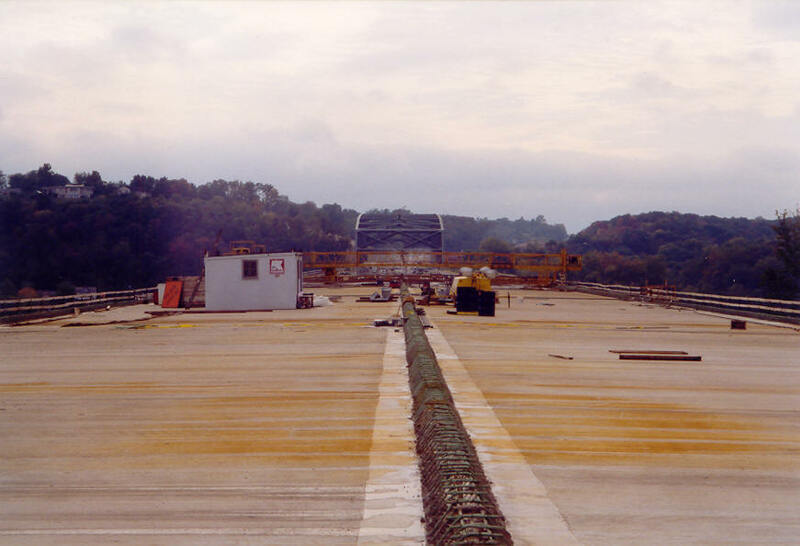 The paving of the approach was done on the Missouri side. 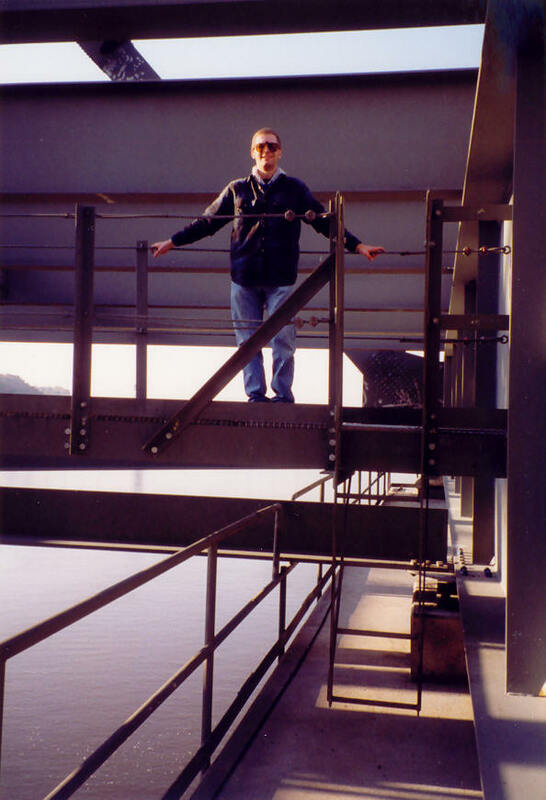 We had to jump down to the pier top in order to get to the catwalk. It was a rather large distance to climp down or up, and this was the most difficult part of the exploration. 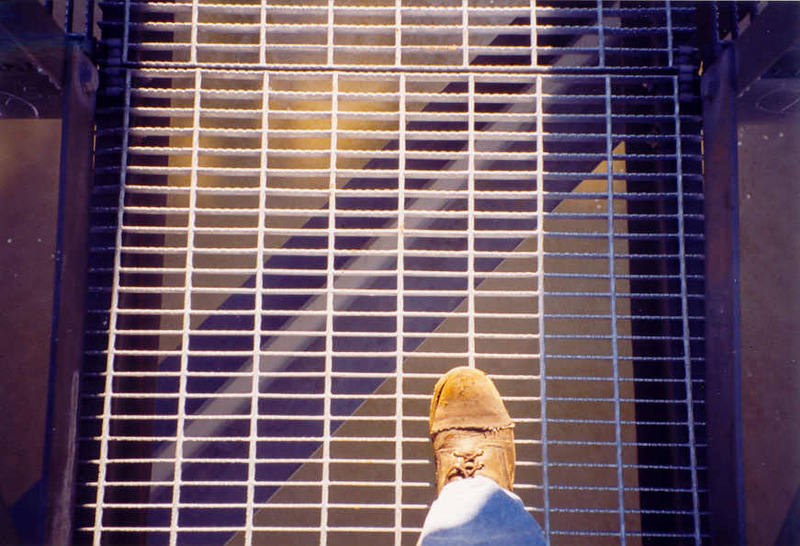 (The first two pictures shown below are out of order, but they show an overview of what we crossed.) 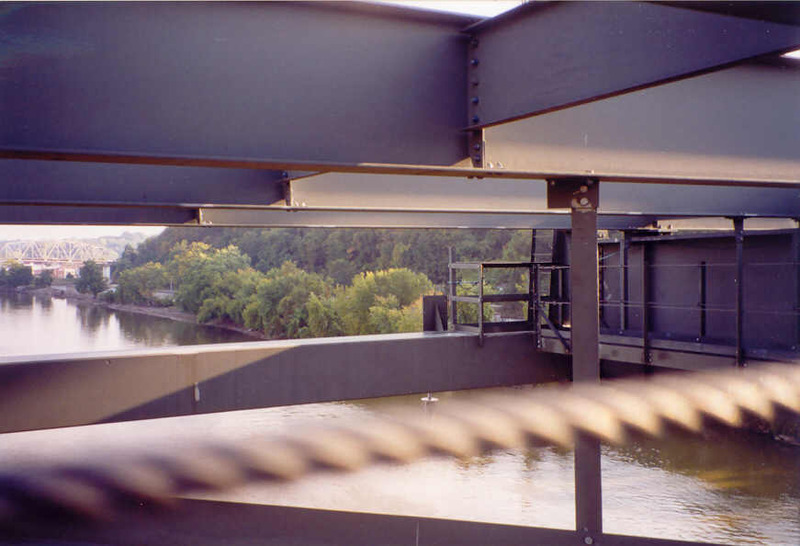 We then crossed the steel supestrucure on the inspection catwalk. This was an incredible experience. 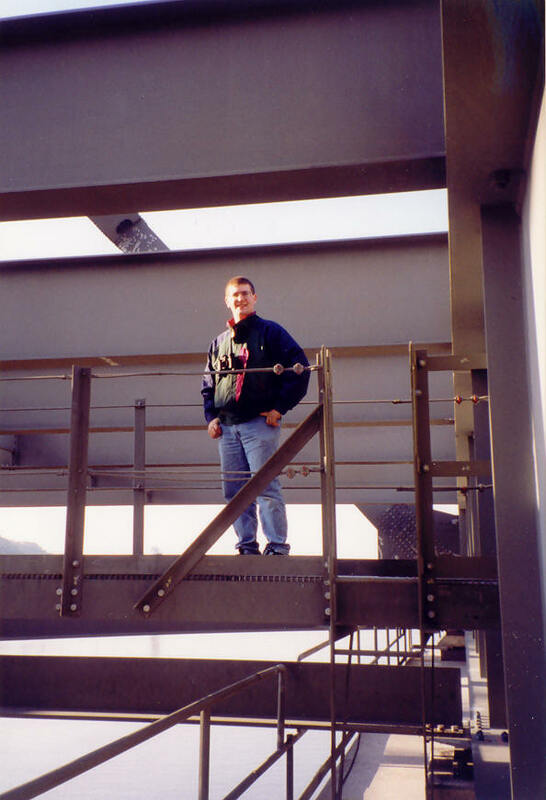 For me it was a little scary, as I have a medium fear of heights. Looking down, all you see is the river. TO I-72 sign, looking southwest from bridge catwalk at the catwalk access from bridge deck. Scott and Craig posing on the catwalk. 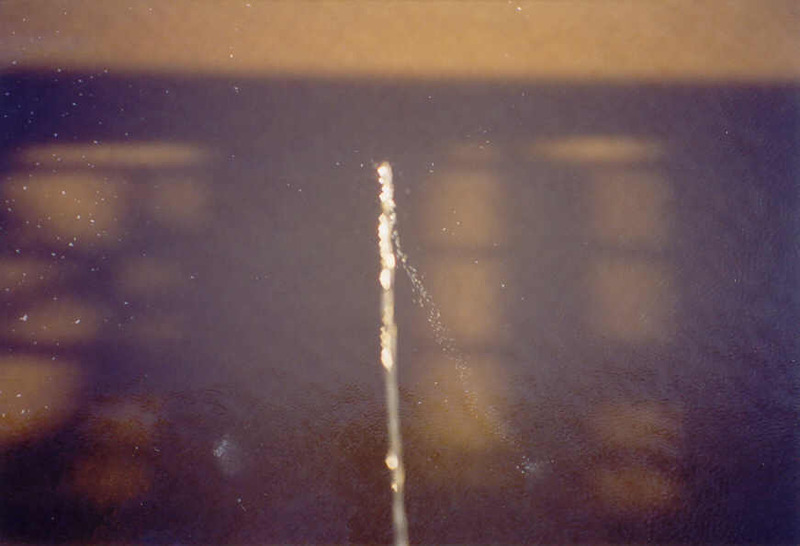 Pictures are taken from the top of a bridge pier. 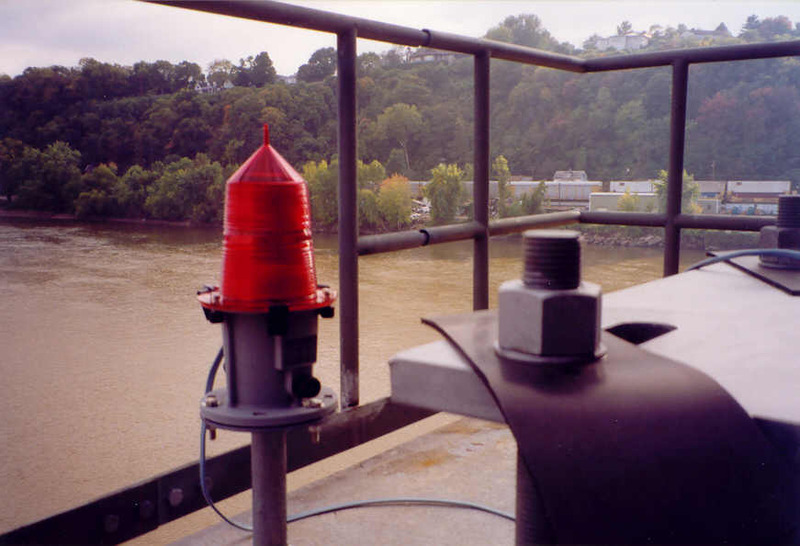 There are inspection areas like this on top of every pier.